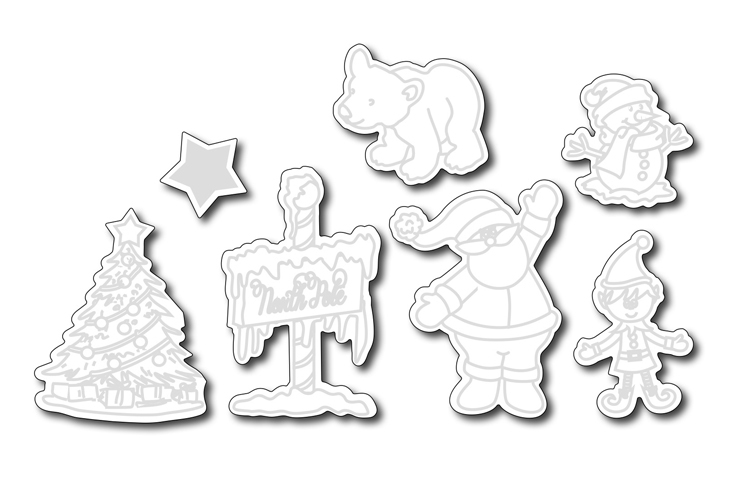 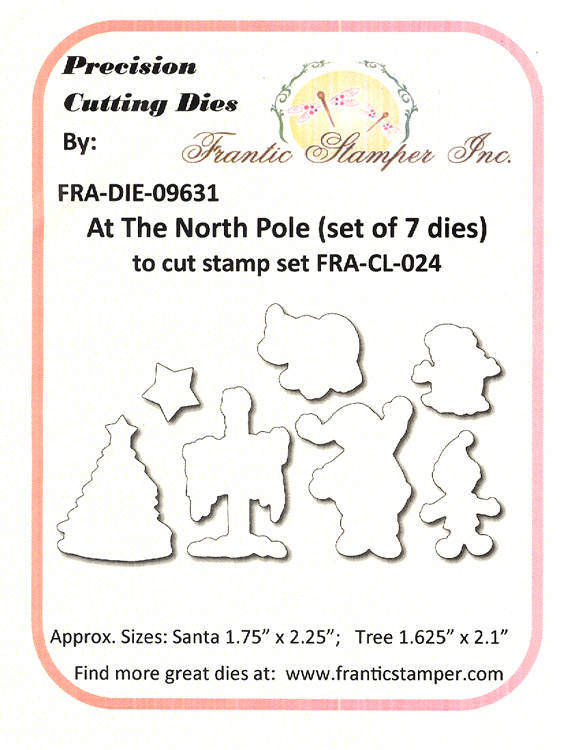 This set of 7 dies can be used to create a scene from the North Pole. 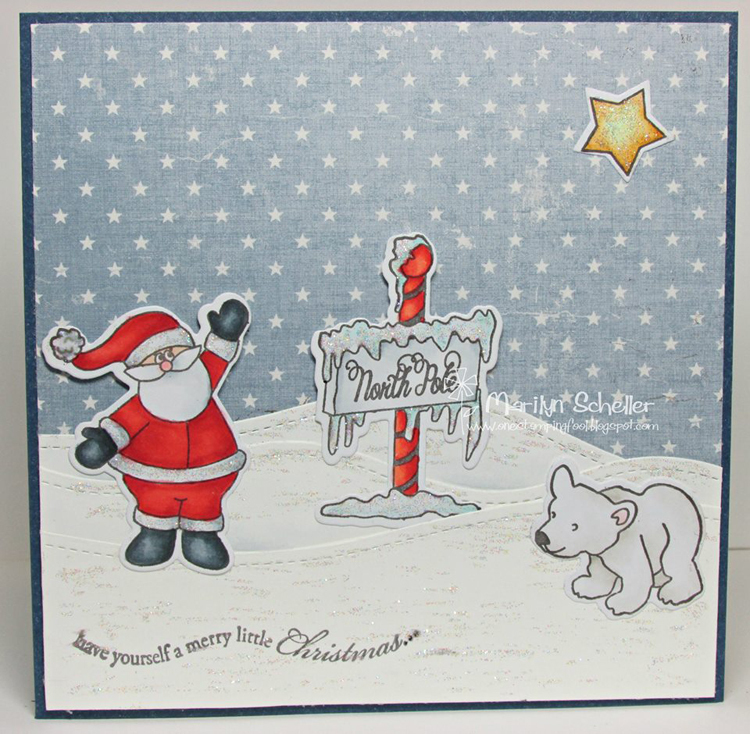 Includes a Christmas tree, star, North Pole sign, and elves. 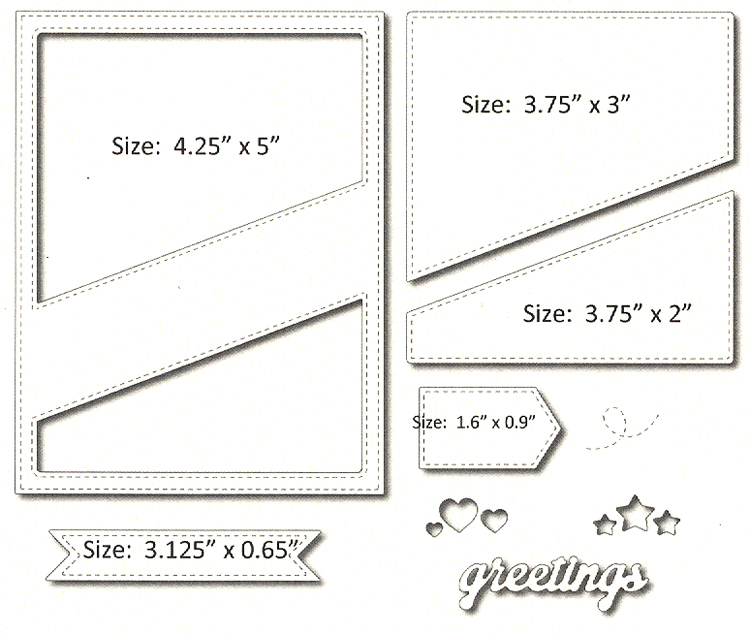 Size: Smallest 1" x 1" Largest 1.75" x 2.5"